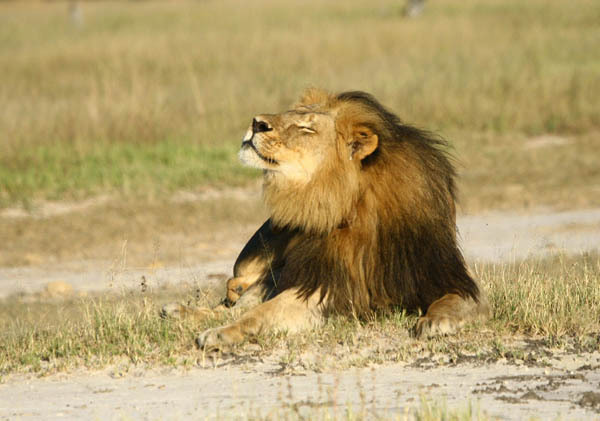 Aided by the $100,000 matching pledge from Tom and Daphne Kaplan, intended to push the Cecil Appeal to half a million pounds, we have just crossed that line, and hope to keep the momentum. We are hugely grateful to all the donors, large and small, who have achieved this incredible memorial to the illegal death of Cecil. Jimmy Kimmel begged his audience that some good should come of this, and his voice became a roar. David Macdonald and Andrew Loveridge, thank you all, on behalf of the whole team. We will devote ourselves, supported by the incredible generosity of these donations, to working for the conservation of lions in Hwange and, with this marvellous support, the surrounding landscapes in adjoining countries. David Macdonald says “I believe that the worldwide engagement with Cecil’s story transcends the tragic fate of one lion, and sends a signal that people care about conservation and want it to be reflected in how humanity lives alongside Nature in the 21st Century. We feel inspired by this support and will work tirelessly to deliver the science and understanding that will enable wildlife and people to co-exist for the wellbeing of both”.